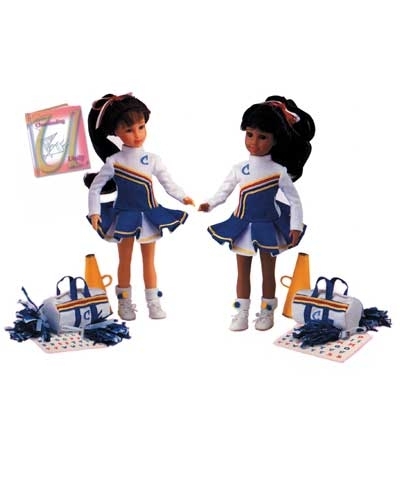 CHEERLEADER "She's Like Me" collectible 9" dolls celebrate the treasured moments in a girl's life. The Family Co., who produces these dolls, has a mission to bring pleasure to our little girls as well as help strengthen their bond with family and their appreciation of basic values in everyday life. We carry the "Cheer "and the "Making the Team" dolls. Each doll comes in an African American, Blonde and Brunette version.